Finland stretches up from the Baltic deep into the Arctic, and is a land of contrasts. From its bustling capital, Helsinki, to endless forests and countless lakes, it offers new scenery at every turn. Helsinki is a paradise for fans of designer goods, but it has much more to offer, a magnificent waterfront area, with great cafes and restaurants, and wonderful shopping. It’s also a city that’s full of large open spaces, from the urban Railway Square to the Kamppi centre as well as beautiful parks. The internet makes keeping in touch with those you know there so easy. 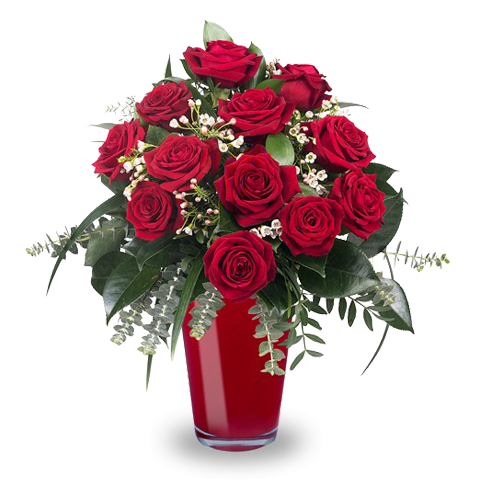 And FloraQueen’s international delivery service means that it’s simplicity itself to send gifts to Finland. Whatever the occasion you’re celebrating, a bouquet of fresh flowers or any of our lovely gift baskets add the perfect finishing touch. We have hundreds of great gift ideas for the next time you want to send gifts to Finland. As you fly into Finland’s capital city, Helsinki, you get a great view of the different faces this country that sweeps past the Arctic Circle has to offer. The dense forests seem to be an endless carpet of green, and these forests are dotted with countless lakes, cabins and small villages. For a more urban view, a wander round Helsinki’s vibrant centre is a great way to spend some time. There are numerous small restaurants and cafes to rest in before another round of trendy designer shops. At FloraQueen, we make it so easy to keep in touch; our huge choice of baskets is the perfect way to celebrate a special day; a couple of clicks and you can send gift baskets to Finland! And, as everyone knows, Father Christmas lives here! So, for when you want to send season’s greetings and holiday gifts to Finland, it’s all at your fingertips here at FloraQueen.